By Converting Your Vehicle To CNG. Environmentally friendly, compressed natural gas is the cleanest burning transportation fuel on the market today. It burns cleaner than petroleum based products because of its lower carbon content. Consequently, it also produces the fewest emissions of all other fuels and contains significantly less pollutants than gasoline. Safety is a common concern for those considering converting their vehicles. Of course, your safety is our concern as well as a certified CNG installer. According to the U.S. Department of Energy’s Alternative Fuels Data Center, natural gas vehicles are actually safer than those powered by gasoline or diesel. Conversion is the smart and affordable choice for fleet vehicles, transit buses, school buses, waste disposal trucks, delivery vehicles, and more. By converting, you’ll save money on fuel, reduce emission levels, and extend the life of your vehicle ultimately reducing maintenance costs as well. We can even help connect you with grant funding to help cover the initial conversion cost! We just recently became a PA Certified State Inspection Station. From cars, bikes, and trailers to big trucks!!! 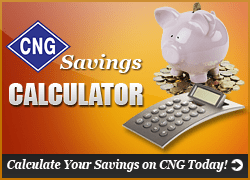 See how much money you’ll save when you convert your vehicle to CNG with our handy Savings Calculator.